Kazi Shahadat Hossain was born September 7, 1986. He is a Bangladeshi cricketer. Noted for his height and aggression, Hossain has been said to be the fastest bowler in the Bangladesh team by former coach Dav Whatmore. His run-up is smooth, and his deliveries come in at an angle and bowls with pace. He has become renowned for hurting batsmen with his bouncer, having hit international players such as Mathew Sinclair and Ricky Ponting over the course of his career. Hossain soon found himself called up for the Bangladesh Under-19 cricket team for the 2003-04 Asian Under-19 Tournament in Pakistan, but he didn't find much success, taking only 2 wickets in 3 appearances, as Bangladesh lost all their group stage matches and failed to progress to the final. 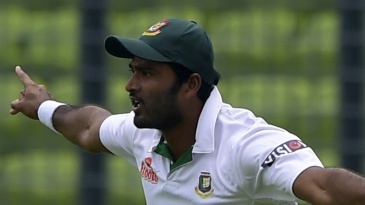 Find Shahadat Hossain profile and stats of batting, bowling and fielding including latest updated news of Shahadat Hossain, videos and images at Hamariweb.com. 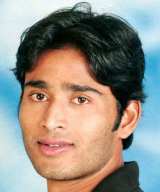 Also find detail Player profile and career statistics of Shahadat Hossain of Bangladesh. Shahadat Hossain - Find Shahadat Hossain of Bangladesh Cricket Team complete player profile, number of matches, runs score, wickets & catches, Statistics, Records, Shahadat Hossain Latest News, Shahadat Hossain Videos, Shahadat Hossain Photos, and other Shahadat Hossain Cricket Team players.